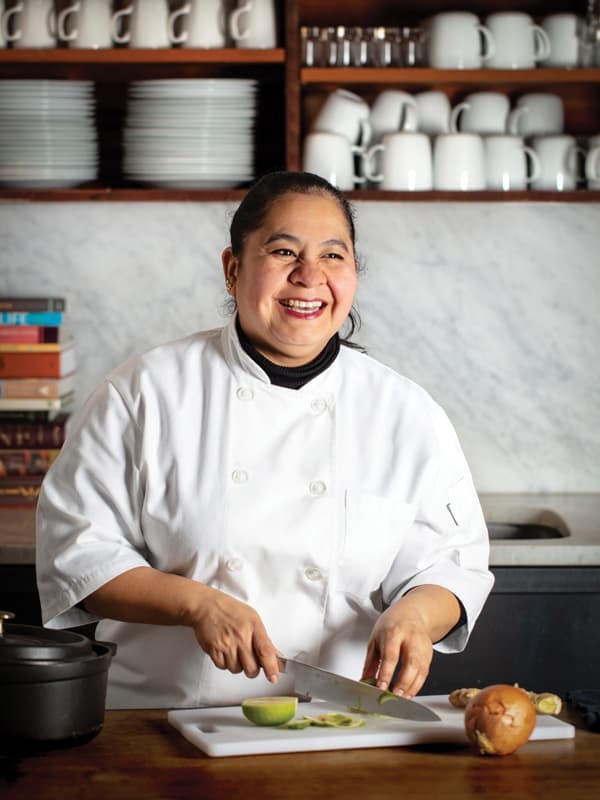 In December 2006, Violeta Sandoval left El Salvador and arrived in San Francisco with her husband and young child, a culinary credential and a desire to create community in her new home. She was lonely and depressed when she first landed here—loss of homeland and culture shock can do that to even the most resilient newcomers—and found herself stocking her kitchen pantry with convenience foods filled with empty calories. She still prepared traditional dishes from her home country—plump pork-filled pupusas, spicy salsa, fried yuca (cassava root) and the crunchy cabbage relish known as curtido. 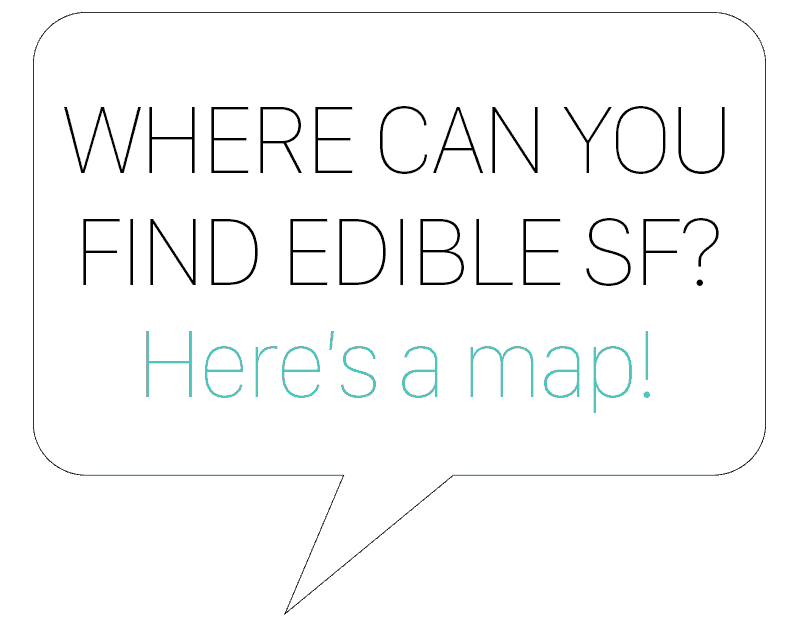 But a self-described sweet tooth, the 46-year-old recalls that she also discovered gummy bears and comfort-ate whole packages of them while riding on BART. 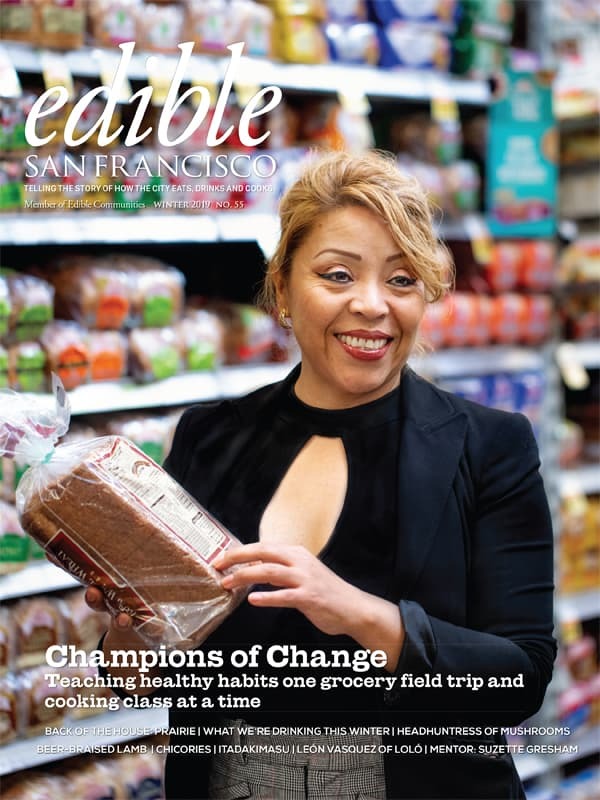 Determined to find ways to interact with other Spanish-speaking immigrants, she began taking classes in the Mission District, including attending Cooking Matters, a free six-week cooking and nutrition program for low-income residents. 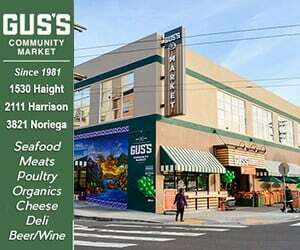 That series, held at Cesar Chavez Elementary School, was led by Sarah Nelson, now the executive director of the nonprofit 18 Reasons, also based in the Mission. It proved a pivotal six weeks. Sandoval sorted through her kitchen cupboards at her Visitacion Valley home, checking labels and tossing any items that contained harmful additives, preservatives or chemicals. She began making tweaks to family meals, opting for leaner meats, whole grains, less fat, and more fruits and vegetables. And that gummy bear habit? It went from being a routine occurrence to an occasional treat. After graduating from the program, Sandoval learned that Nelson needed help teaching classes. She jumped at the opportunity to volunteer in the then-nascent program. Her first class as an assistant was at the Women’s Building in 2009. Today, Sandoval is a Cooking Matters program promoter, a paid peer education role that sees her putting on a white chef’s coat and black hairnet and serving as a Spanish-language instructor in the popular cooking program held in locations all over the Bay Area. Cooking Matters is centered around curriculum created by the national nonprofit food literacy and hunger prevention program Share Our Strength. 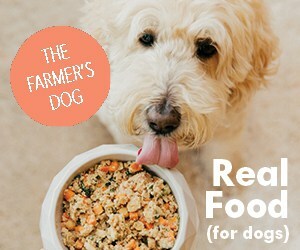 The classes feature simple, healthful recipes, wellness instruction and hands-on cooking. Sandoval has found her calling. Given her culinary training, she had thought she might work in the restaurant industry. But her strength lies in sharing what she has learned with others in her community, she tells a reporter via translation courtesy of 18 Reasons program manager Claudia Guerrero. Sandoval says she is driven to help class participants improve their health and nutrition and that of their families. She is proud, she says, to serve as a voice, role model and leader among her peers, and to work with participants ranging from tiny tots to senior citizens. Cooking matters—a lot—to Sandoval, and it shows. She brings exuberance to the kitchen classroom and is met with a warm reception from children and adults alike. Big hugs and playful greetings were the first order of business at a recent program graduation. “Violeta is a true community leader who puts flavor first and engages kids and adults in cooking as a source of enjoyment, not just nutrition,” says Nelson. Her favorite part of teaching? “When class participants come back and tell me they’ve practiced what they’ve learned in class at home, and brought other family members on board,” says Sandoval, whose husband jokes that she’s famous—they bump into Cooking Matters alumni wherever they go. “I’ve learned that even with the most resistant people, change is possible,” Sandoval says. On a wet, windy evening in late November—the kind when most parents with young families are likely hunkered down for the evening at home, scanning the refrigerator for dinner inspiration—a steady stream of moms and kids make their way to a back room at the San Francisco Children’s Council on Church Street. The classes, which have been held here for five years, fill fast. The program can accommodate 15 adult participants; there’s a wait list for upcoming sessions. Some dozen children—from toddlers to preteens—accompany the women to this two-hour Cooking Matters class. They’re here to pick up kitchen skills and tips on healthier eating, expand their recipe repertoire, create community and participate in a positive child-friendly activity. The women exchange pleasantries before turning their attention to Isabel Ochoa, another Spanish-speaking program peer promoter, who begins a nutrition presentation. What follows is an engaged back-and-forth conversation complete with visual aids and handbooks, recapping highlights from the six-week training. There’s talk of MyPlate, food budgets and label reading, along with a refresher on the harm sugar can wreak on the body and the benefits of exercise. Ochoa, who is wearing athletic gear, asks everyone to stand up at one point to do a few simple exercises. Children happily wander back and forth between the presentation and a playroom. There’s a Michelle Obama “Let’s Move” vibe to the whole thing. Once Ochoa has covered her class material, it’s time to cook. Sandoval helms that part of class; she’s arrived after a long slog on public transit from a previous work commitment. Sandoval works in community health education with several local organizations, including Urban Sprouts, where she oversees practical programs designed to reduce high rates of cholesterol, diabetes and obesity in the Latinx community. The group gathers around cutting boards. On the menu tonight: a garbanzo and kidney bean salad with kale and red peppers and a chia pudding with a seasonal fruit salad. Sandoval demonstrates how to chiffonade kale at one table, and shows some young ones how to hull strawberries at another workstation. She talks up the merits of using canned beans for quick lean protein, and the health benefits to be found in a creamy chia pudding topped with fruit. Later Sandoval explains that she likes to tell recipe back-stories to whet home cooks’ appetites, or explain the cultural history of an ingredient, or discuss how and where a specific fruit or vegetable grows. “I bring a holistic approach to cooking that is both more interesting and has a longer-lasting impact than simply saying, ‘Okay, now we’re going to cut these tomatoes,’” she says. Sandoval can tell who may have worked in the industry and who is a novice; knife skills separate the restaurant workers from the home cooks. All are welcome in class. It’s graduation night, so after the participants quickly and collectively whip up the dishes and share a meal, there’s a certification presentation for each family. And a lot of photo snapping. This group is clearly pleased of having completed the course. Each week, participants are given reusable shopping bags that include recipes from the lesson and some fresh and pantry ingredients to take home. This particular week, there’s also rain gear to put on and parting hugs to give before each family leaves around 8:30. The Cooking Matters crew—including Spanish-speaking staffer Rebecca Murillo and volunteer Elisa Pelegrina, a Salesforce employee who is also fluent in Spanish—clean up after class, packing washed and dried kitchen equipment into storage containers on a cart. Then they head out into the night. Another session wrapped. The following day, a different Cooking Matters crew—with uber-volunteer Elisa Tsang in the chef role—convene in Chinatown at North East Medical Services to teach a class of Cantonese-speaking seniors. It’s a lively, dynamic bunch—there’s a group of women who remind this reporter of bossy sisters, critiquing each other’s techniques and sharing opinions about how to make a dish. At another workstation, a couple of older men evoke a cowboy swagger as they cook the day’s dishes: chicken and lotus root patties; a Chinese long bean and crisped tofu salad; and a seasonal fruit salad featuring persimmons. That familiar adage—you can’t teach an old dog new tricks—has no place here. 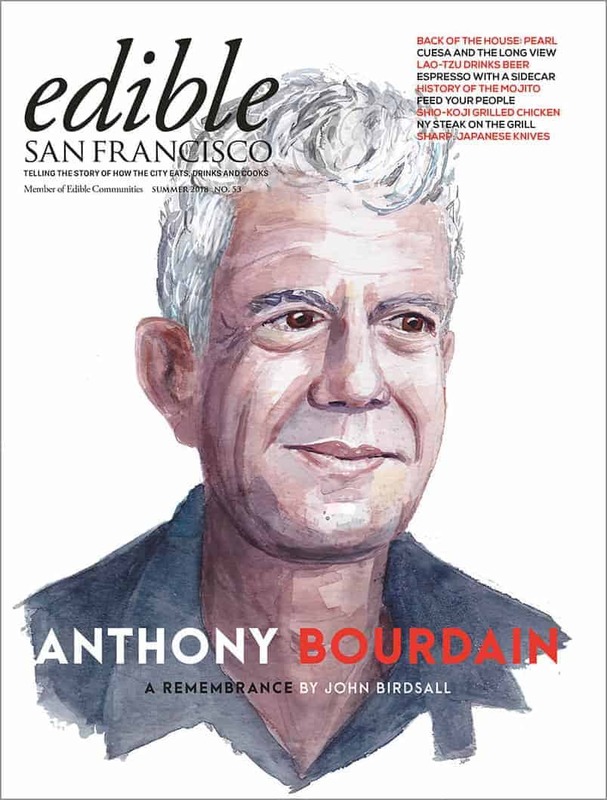 What sets Cooking Matters apart in the Bay Area from programs under the same rubric across the country is its robust Health Promoter Program. The brainchild of Ana Villalobos, a former Cooking Matters Spanish-speaking volunteer chef for six years, the program is modeled after Oakland-based La Clínica’s Centro de Promotores, which has trained peer educators in local health clinics. The 18 Reasons crew added on nutrition education, culinary training and facilitation skills so that peer promoters could teach Cooking Matters curriculum. The idea behind the program is a simple yet significant one: to offer leadership training to people such as Violeta Sandoval and Isabel Ochoa who work within their communities to spread the gospel on good food. Cooking Matters started paying its peer promoters in 2013. They make $300 for a six-week series commitment. 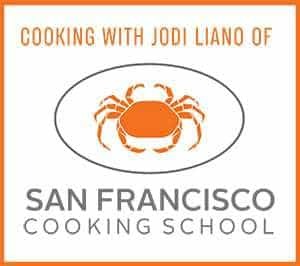 Some 60 percent of Bay Area Cooking Matters classes are taught by peer promoters. While community volunteers bring good intentions and valuable skills to the table, they may lack that all-important connection to the community—be it language, culture or financial relevance—that can make a difference in reaching participants. Nelson has a long history in helping teach low-income people how to cook. She ran cooking classes in the East Bay beginning in 2009 (when Cooking Matters was still known as Operation Frontline). 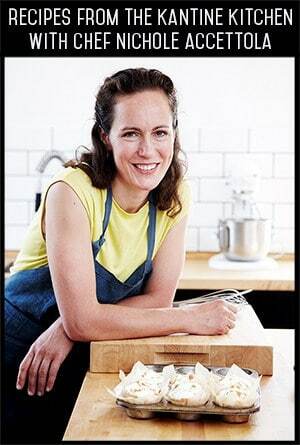 In 2011, she started her own cooking-education program, Three Squares, in Berkeley. In 2013, she joined forces with 18 Reasons, coming on staff and bringing the Cooking Matters program under the nonprofit’s umbrella. Cooking Matters has an annual budget of $500,000. Its biggest funders include the California Wellness Foundation, Kaiser Permanente, Dignity Health and the San Francisco Department of Public Health. Cooking Matters also receives funding from private foundations, and about 50 percent of its budget comes from individual donors. 18 Reasons makes about a 10 percent profit on its paid public and private classes and space rental program, which helps support the organization overall as well as the Cooking Matters program. Mike Weller, an 18 Reasons chef and culinary instructor, primarily teaches 18 Reasons classes, which range from hands-on instruction on basic knife, butchery and cooking skills, to deep immersion into regional dishes from around the globe. He’s taught public classes to 10-year-olds, retirees, teams of tech workers, couples who have just moved in together, recent college graduates and individuals who have never cooked for themselves and have moved to the city and realized they cannot afford to eat out every night. Cooking Matters has partnered with more than 570 organizations and held classes in more than 40 different Bay Area communities. The classes pop up in public schools, senior centers and community buildings. It’s also provided training and technical support beyond the Bay for classes in Southern California and the Central Valley. A quarter of its classes are held in San Francisco. Nelson says the program’s greatest achievement has been to reach some 4,000 people every year while maintaining a graduation rate of 80 percent or higher. Cooking Matters collects before-and-after data from graduates to track their success. “We have consistently shown that our classes help participants eat more fruits and vegetables, cook more at home, choose healthier options at the store and save money while grocery shopping,” says Nelson, who would like to see Cooking Matters curriculum in every school in the Bay Area. In 2017 alone, the program distributed 24,000 pounds of groceries to program participants. Isabel Ochoa scans the aisles at Foods Co. in the Mission District, pointing out the healthiest options for home cooking. 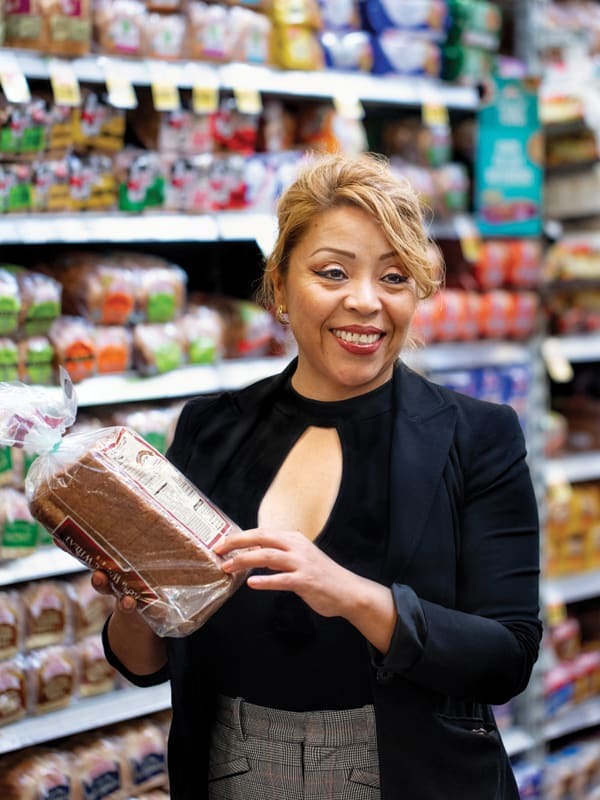 Isabel Ochoa knows her way around the large Foods Co. supermarket on Folsom Street like nobody’s business. The 40-year-old Mission resident and mother of two doesn’t muck about, whether she’s teaching a nutrition class on-site or leading one of Cooking Matters’ grocery tour field trips. She has a plan, she has a lot to cover and she strides up and down those aisles, picking up a can here or a loaf of bread there to illustrate a point. She’s warm and friendly, but she’s also efficient: the woman is on a mission and the clock is ticking. Foods Co. is her preferred market for tour, because many residents on a limited budget shop at this discount store, which has recently expanded its fresh fruit and vegetable section, according to Guerrero, who tours the store with a reporter and Ochoa. The section has a wide range of produce, including organic options. It’s no Rainbow Grocery, which is just across the street, and it’s no Bi-Rite Market for that matter either. But it isn’t trying to be. The price is right for many shoppers in the neighborhood. And in the middle of a workday, it’s packed. This is where Ochoa brings Cooking Matters At the Store participants to walk them through how to be successful food shoppers. Some are here as part of a six-week Cooking Matters series, some participate as part of a stand-alone program. Share Our Strength implemented the add-on program in 2010 because research reveals that the cost of healthy groceries is the biggest barrier for low-income families cooking wholesome meals at home. She rattles off her top tips: have a list, don’t come hungry, stick to a budget, start in the produce section and be on the lookout for healthy bargains. And, she tells adults, bring your kids. While some parents see the supermarket as an escape or the last place they would want to bring their offspring, Ochoa stresses that it’s good to get children invested in meal planning and cooking at a young age, and that starts with shopping. As any parent of a child will tell you, it’s also a place that can try everyone’s patience. How many ways can you say no? Ochoa smiles and keeps on moving. Teaching home cooks what to look for when reading labels at the store is a key Cooking Matters lesson. 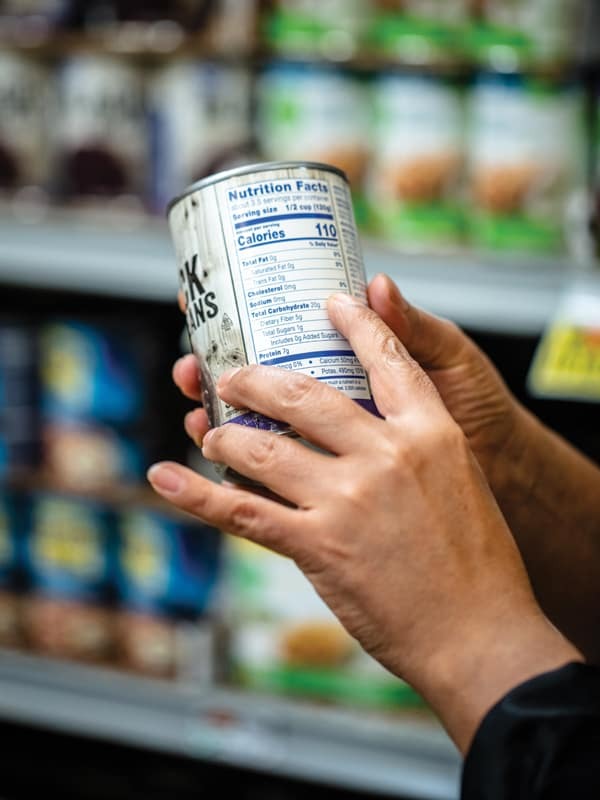 Along the way, she compares canned-soup sodium levels, checks for whole-grain ingredients in bread and pasta, and looks for the fat content of packaged beef and turkey. She explains unit pricing and bulk buying. She talks about serving sizes, portions and empty calories. In the snack aisle, she defies a tour participant to find an actual food ingredient in, say, a packet of Takis or Flamin’ Hot Cheetos. Eating well on a budget takes work, Ochoa says, but it’s worth the effort in both short- and long-term results. An independent study of Cooking Matters At the Store found that after a tour, families have more success stretching their food-purchasing resources, and buy healthier food, especially fresh fruits and vegetables, according to the Cooking Matters website. The findings also showed that months after a tour, families still use shopping skills they learned on the tour. These are technically 90-minute tours, but Ochoa often finds herself running over timewise as participants seek her advice about the smartest foods to take with them to the checkout. She doesn’t mind. After all, her underlying goal is to train a savvier, healthier group of shoppers. Ochoa speaks from personal experience. She used to buy what she calls “lazy soup”—Top Ramen—for her children, before she took a good look at the instant noodle label. She has been diagnosed as prediabetic, and despite overhauling her lifestyle—diet, weight and exercise—she has sustained irreversible damage to her pancreas. She doesn’t dwell on her health condition. But this trim, active health promoter is evidence that change is possible. 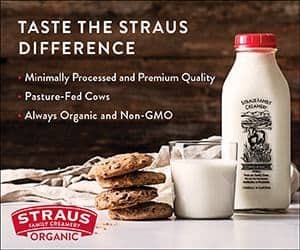 And yet while in line with Ochoa at Foods Co. last December, this reporter couldn’t help but point out the carts ahead chock-full of flats of soda cans, massive packets of snacks with undetermined ingredients and super-sized boxes of sugar-filled cereals. Didn’t Ochoa find such scenarios depressing? Not at all, she countered quickly, it’s just proof that there is still work to be done. To learn more about Cooking Matters, including volunteer opportunities, visit 18reasons.org/cooking-matters.